© Marilyn Bernstein. All rights reserved. 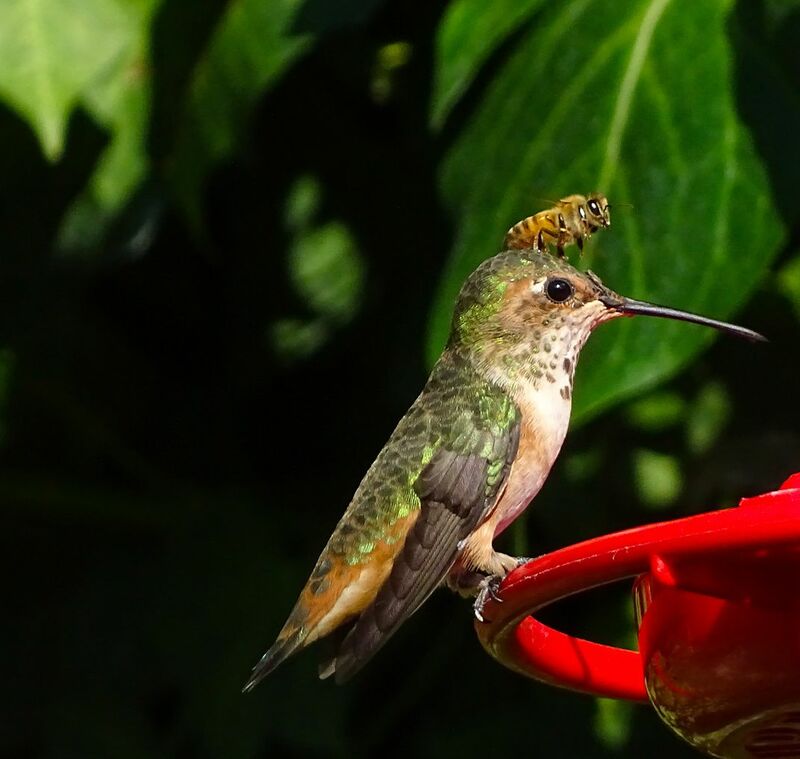 Taking a break A honeybee sitting atop an Allen's hummingbird. Both are wanting to drink but I think the hummer is afraid to move. Date Uploaded: Sept. 8, 2015, 3:10 a.m.